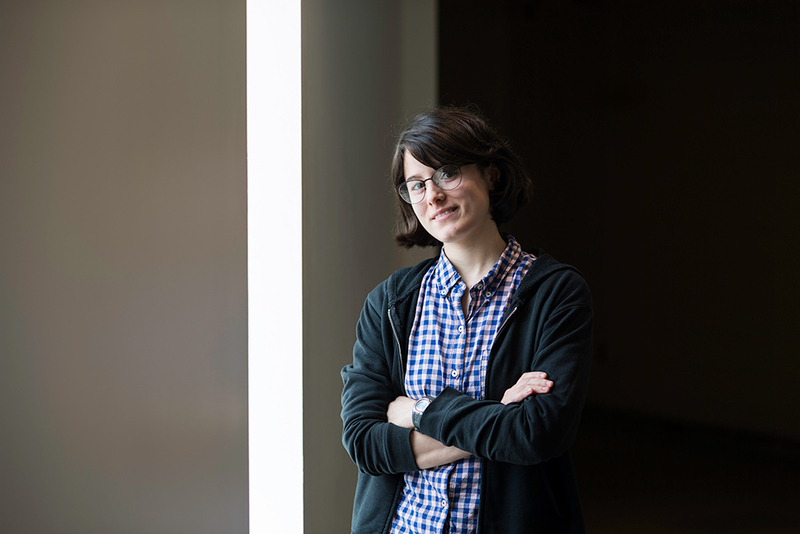 After graduating from Cornell University last year, Andrea Clark-Sevilla was looking for a school that offered an innovative data science master’s program. She found it at the University of Rochester. 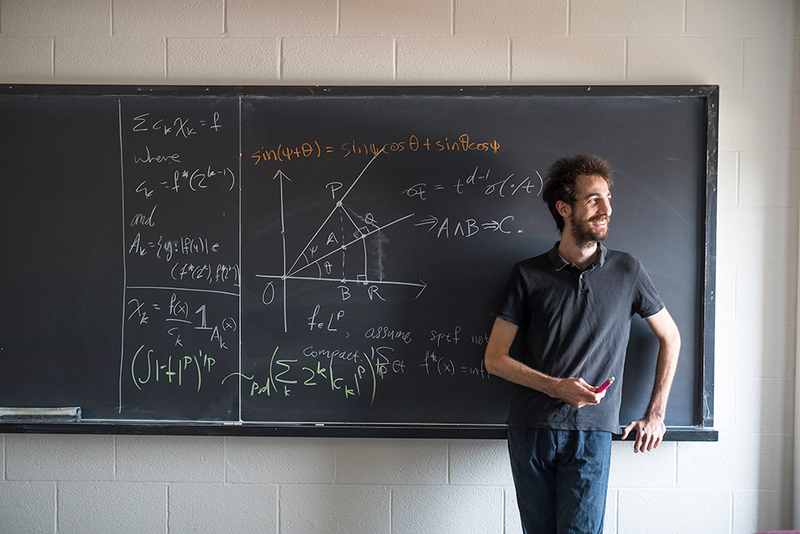 Clark-Sevilla is among nearly 1,400 master’s and doctoral students in Arts, Sciences & Engineering whose studies range from philosophy to physics. About half are international students who come from 67 nations. Here’s a look at some of the University’s graduate students. 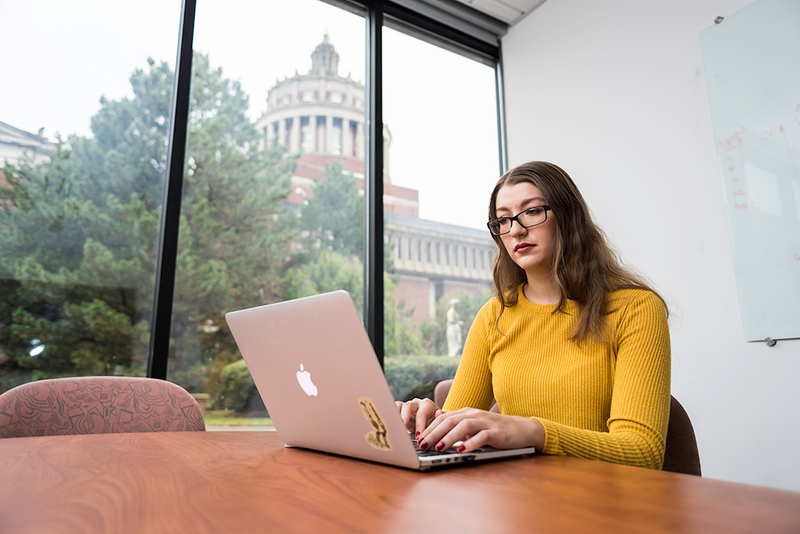 Carson Kautz is a first-year PhD student in clinical psychology from Lodi, California, and a recipient of a Provost’s Fellowship. She’s working with Christie Petrenko, a research associate at Mt. Hope Family Center. Kautz’s research focuses on interventions to reduce adverse outcomes for children with developmental disabilities, particularly those with fetal alcohol spectrum disorders. Andrea Clark-Sevilla is a 2017 Cornell graduate and first-year master’s student in data science from Mexico City. The Avangrid Fellow is about to start a research project with linguistics professor Aaron White on common sense inference and is working on a project on language modeling with University doctoral student Ritwik Bose. Austin Skeeters is a third-year PhD student from Fort Walton Beach, Florida, and a recipient of the Barnard Fellowship. 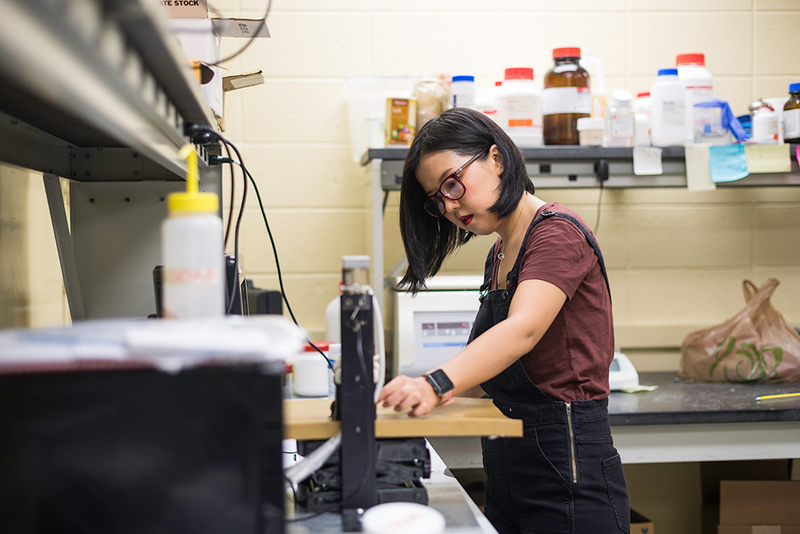 The 2016 Florida State University graduate is working in physics professor Patrick Oakes’s lab. 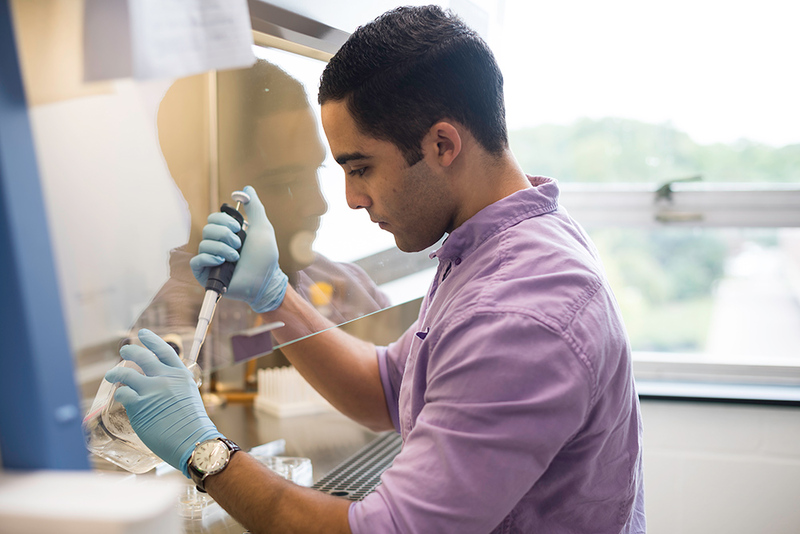 His primary research project is characterizing the curvature-sensing properties of the cytoskeletal protein septin. Aeshaan Wahlang is a second-year master’s student in computer science. 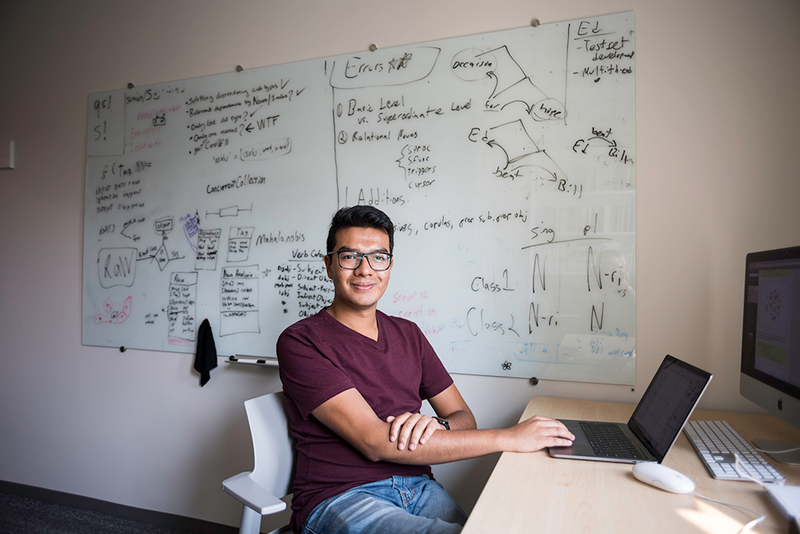 The India native is part of the Quantitative Semantics Lab in the linguistics department, studying nominal semantics through data science techniques. 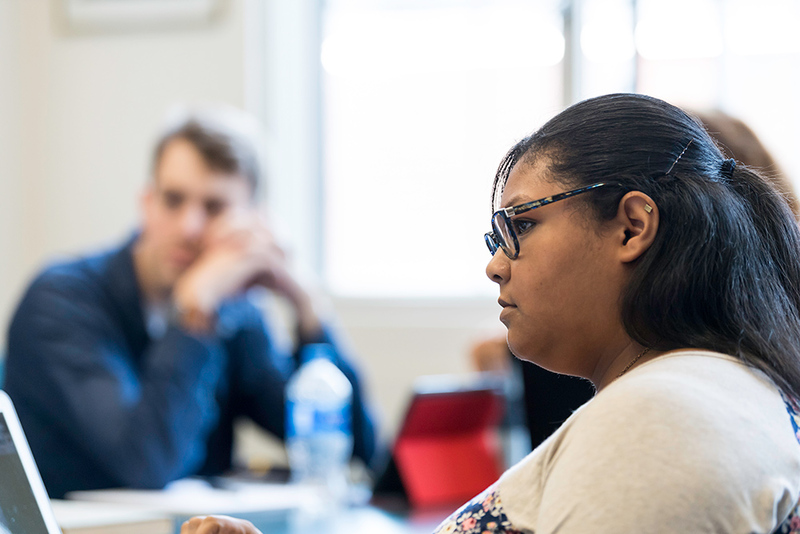 Dominique Townsend is a first-year English doctoral student from Southern California who studies construction of racial and gender identity in 20th-century American and British literature. She’s a recipient of a Provost’s Fellowship. 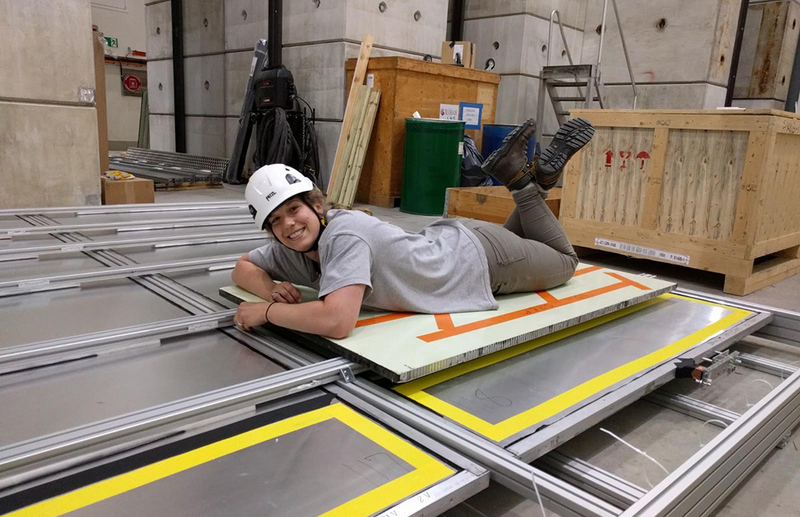 Sarah Henry, a third-year doctoral student from Benson, North Carolina, poses while helping to construct one of eight cosmic ray tagger frames at the European Organization for Nuclear Research, known as CERN, in Geneva, Switzerland. Henry is studying high energy physics and is a National Science Foundation GRFP Fellowship recipient. Wednesday Bushong is a fourth-year brain and cognitive sciences doctoral student from San Diego. 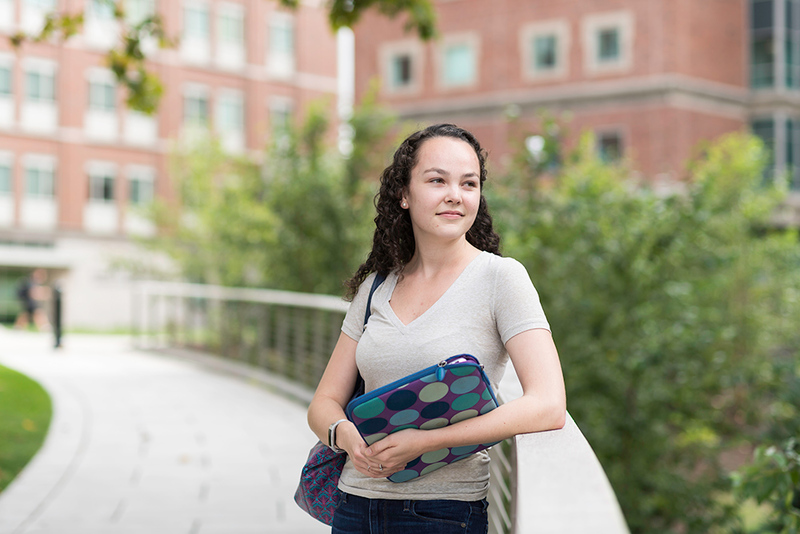 A Barnard Fellowship recipient, she studies how people quickly and effortlessly process language. She does this through behavioral experiments and computational modeling. 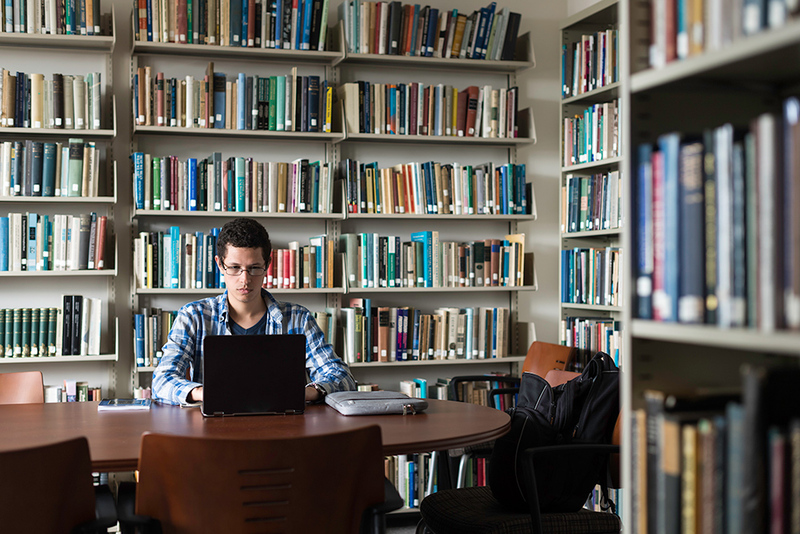 Yanssel Garcia is a fourth-year doctoral student in philosophy from Miami. He is primarily interested in understanding the nature of consciousness and its relationship to the brain. April Wang is a fourth-year doctoral student in electrical and computer engineering from Yantai, China. Her research focuses on using ultrasound elastography to study the pancreatic cancer tumor microenvironment, and in particular, how the latter’s biomechanical properties affect therapies.